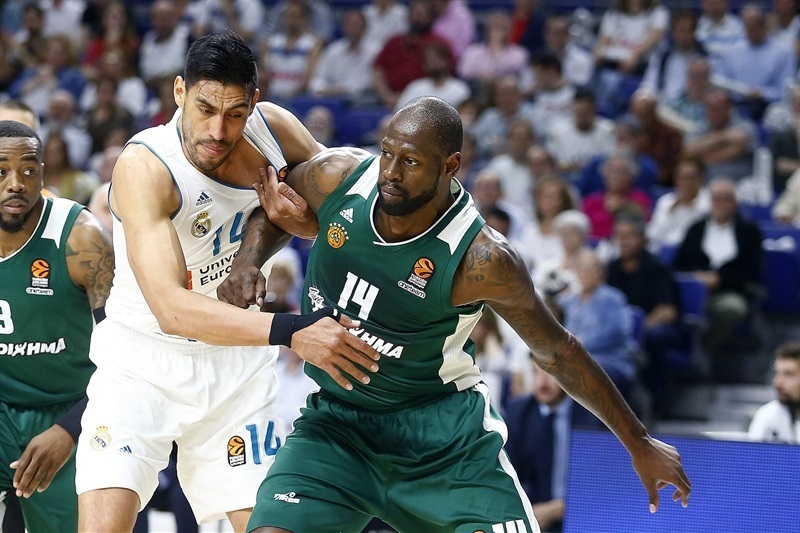 Celebrating the return of an MVP after his long absence, Real Madrid moved to within one victory of the Final Four by outlasting Panathinaikos Superfoods Athens 81-74 at home in Game 3 on Wednesday. 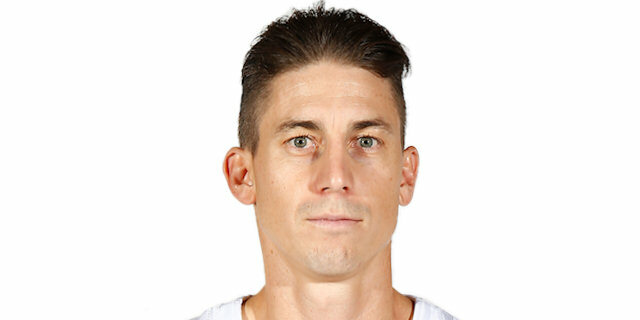 Jaycee Carroll's four-point play inside the final minute proved the difference after Panathinaikos had overcome a 13-point second-half deficit to tie down the stretch. Madrid leads the series 2-1 with Game 4 back in the Spanish capital on Friday. 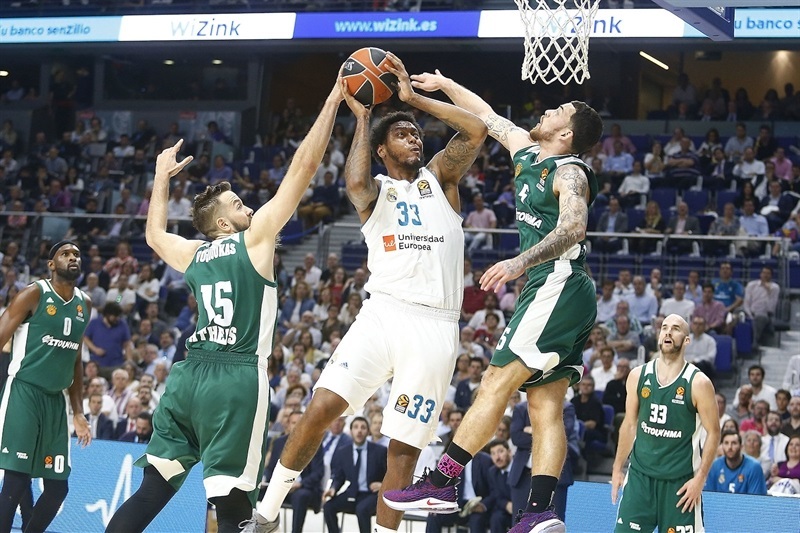 Carroll didn't miss a shot – hitting 3 of 3 two- and three-pointers plus both of his free throws – in getting 17 points as Madrid's only double-digit scorer. 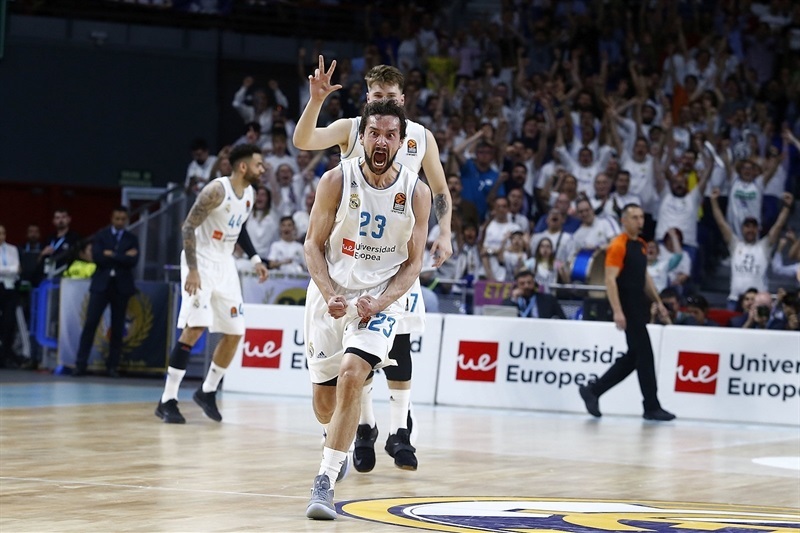 But the return of reigning EuroLeague MVP Sergio Llull, who came off the bench to a standing ovation with 2:45 left in the first quarter, had its intended effect, too. 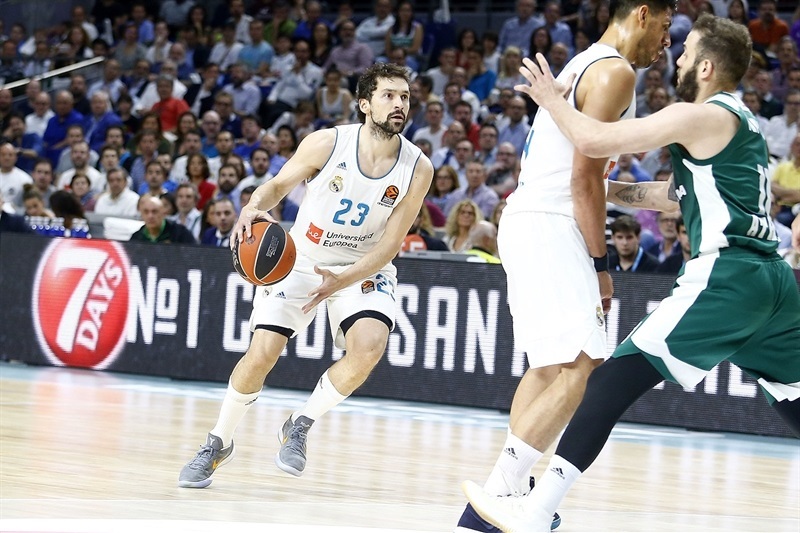 All of Llull's 8 points came during 2 minutes, 10 seconds late in the game and gave Madrid a 70-63 advantage. 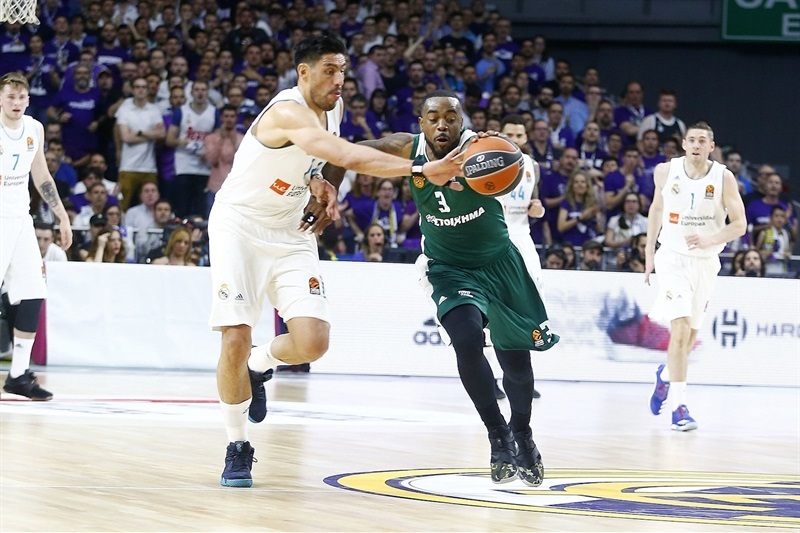 Mike James would soon tie it 70-70 on a triple, but Carroll proved the main shot-maker after that to keep the win in Madrid. Nick Calathes led Panathinaikos with 26 points on a career-high 4 three-pointers, while James Gist added 15 points and Mike James 14. Jeffery Taylor blocked Calathes at one end and put down an alley-oop lob to start the scoring. Luka Doncic's high-arching baseline shot and a free throw by Taylor made it 5-0 before Gist's jumper got Panathinaikos on the board. Calathes tied the score with a triple, but Gustavo Ayon got free for a dunk. James hit free throws before an exchange of layups that ended with Ian Vougioukas coming off the bench to tie it up 11-11 for Panathinaikos. 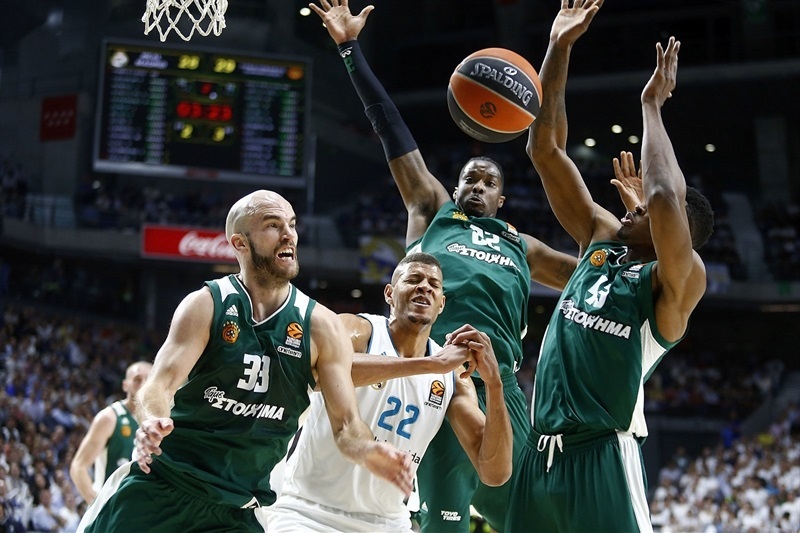 Free throws by Trey Thompkins were answered by Chris Singleton on a dunk, James on a fastbreak and Calathes on a layup as Panathinaikos went ahead 13-17. 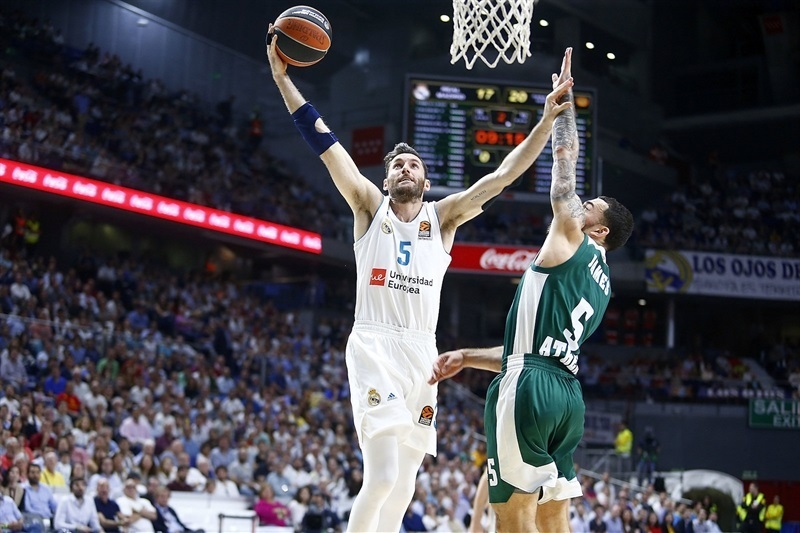 Rudy Fernandez was on the spot to end the quarter with a triple to let Madrid tie 17-17 after 10 minutes. James hit a triple and Fernandez a layup to start the second quarter before Carroll strung together a pull-up jumper and a corner triple to vault Madrid ahead by 24-20. 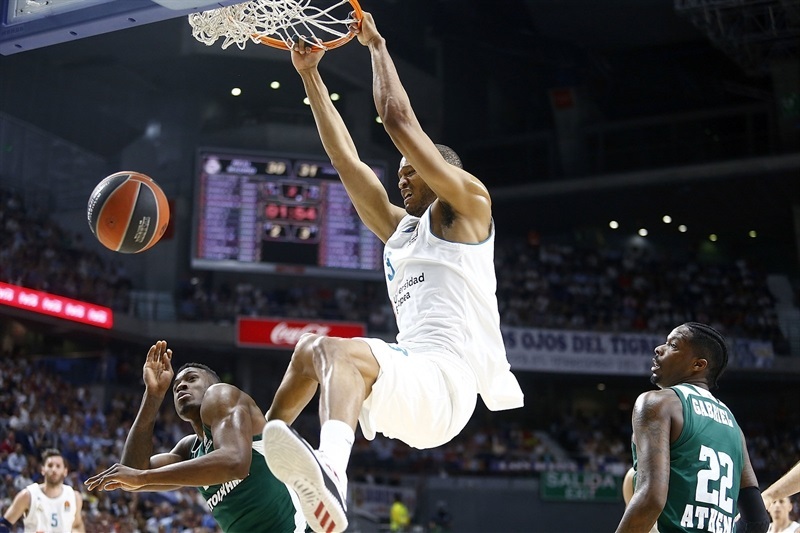 Walter Tavares intimidated several shots before getting a pass to dunk from Anthony Randolph. Gist scored over the big man at 26-22, then he and Kenny Gabriel got breakaway dunks to suddenly tie it again, 26-26. After free throws by Fernandez, Matt Lojeski gave the visitors a 28-29 lead from downtown. 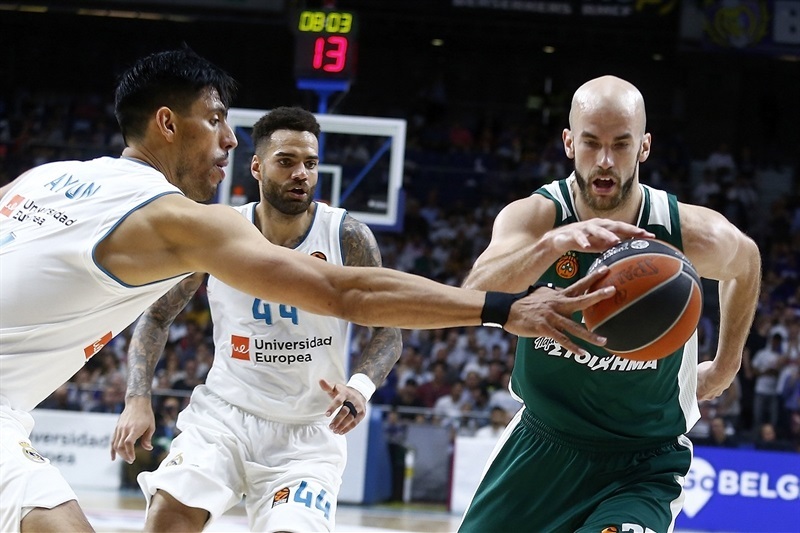 Randolph and Thanasis Antetokounmpo flipped the lead on inside baskets before Felipe Reyes stepped on the court and fed Randolph for a dunk at 32-31. 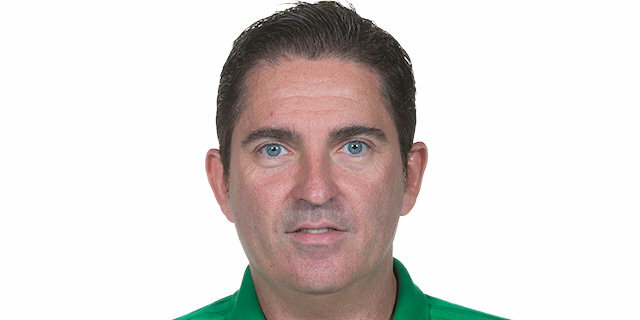 Randolph's 4 free throws and a nifty shot by Calathes left Madrid up 37-34 before a technical foul on Panathinaikos coach Xavi Pascual. 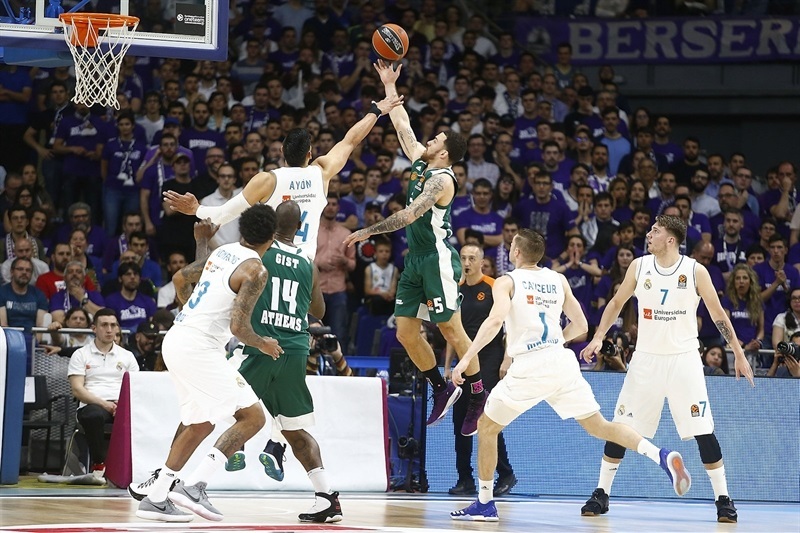 Carroll hit the free throw before Doncic stormed the basked for a monster dunk and a 40-34 Madrid advantage at the half. 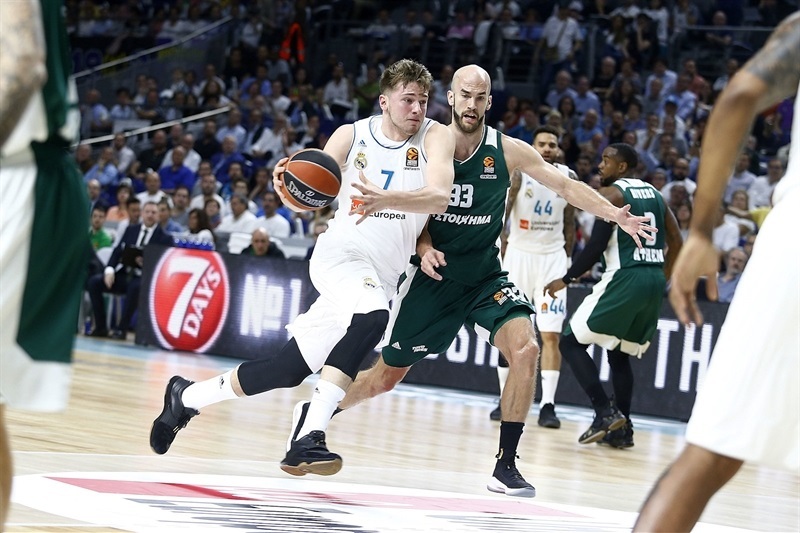 Ayon stole and fed Doncic for a fastbreak layup, then made a tip-in and a hook shot to give Madrid the game's first double-digit lead, 44-34, right after halftime. Singleton rattled in a triple to end 4 scoreless minutes for Panathinaikos. Fabien Causeur downed a high-banked layup and Doncic found Ayon for a dunk to make it 50-37. Marcus Denmon came off the bench and stuck a triple, but Thompkins answered him. Calathes took matters into his own hands with a layup, 2 free throws and back-to-back triples to suddenly pull Panathinaikos within 55-50. Fernandez hit free throws before but Gist answered with a three-point play for a 57-53 finish to the third quarter. Gist continued scoring with a hook to enter the fourth. Carroll answered from deep, but free throws by Calathes kept it close, 60-57. Carroll's driving floater was met by a basket by Calathes and a put-back by Gist to make it 62-61. That's when Llull came up with his first basket of the season, a layup high off the glass. Gist's free throws made it 64-63 with 5 minutes left, whereupon Llull stepped back for a big triple. Then, on the next possession, with the shot clock expiring, he did it again for a sudden 70-63 Madrid lead. After a timeout, Calathes answered from deep and Singleton made 1 of 2 free throws for a 70-67 scoreboard. Singleton forced a turnover next and James hit a stand-still three-pointer from way downtown to suddenly tie it up again, 70-70, with 2:17 left. 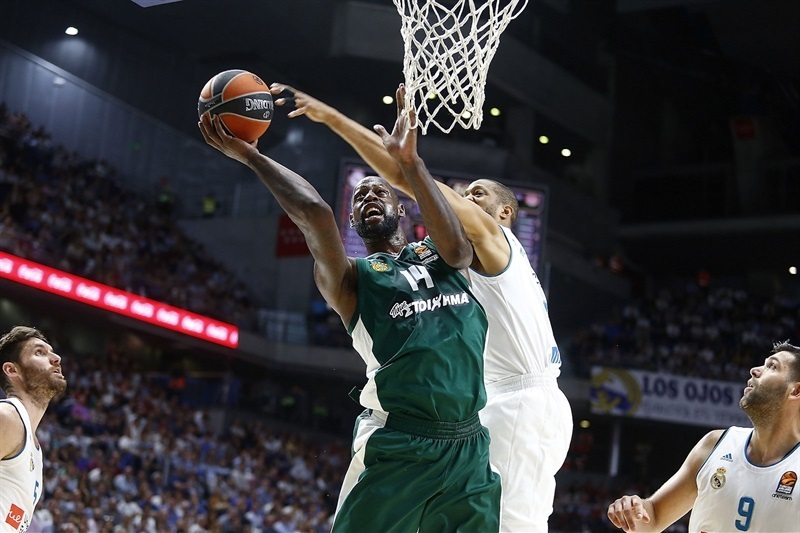 Reyes hit 1 of 2 free throws, and when Panathinaikos missed, Carroll downed a bank shot. James hit 2 free throws at 73-72, but entering the final minute, Carroll went other way, stuck his classic triple off the screen and got fouled to make it a four-point play that decided the game at 77-72 with 50 seconds left. "Whenever we win, I begin by congratulating our players, and today I do the same. But today I have some extra words for our fans. We know it was a difficult game and complicated, played at an unusual time for us, and I think the people here tonight have been fantastic. In many moments, they carried us to victory in a very difficult and complicated game." "I think it was a very tight game for both teams. It was hard. I think we had a solid first half, nothing briliant, we missed some free throws. The second half, we had control, we got some advantages twice. But Panathinaikos is a team that keeps fighting. They got back in the game twice. So at the end, we had to handle situations like foul trouble and these things. We were able to move the ball better and get open jumpers. I think Carroll was great at the end, but I think the whole team did a great effort. 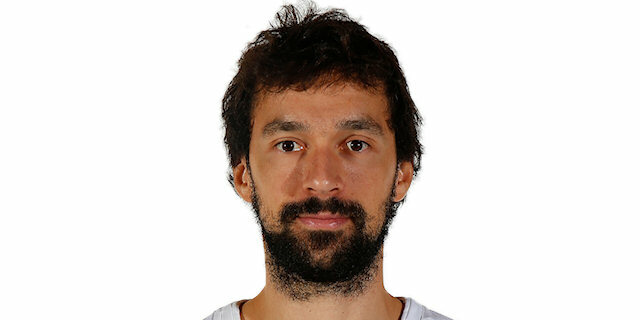 Sergio [Llull] is one of us, one of Real Madrid. So I'm very happy to have him back. We probably rushed him. But you will never find one day where it's best to come back. I'm happy he came back today and happy with what he showed today." "We played a serious game. At moments in the second and third quarters, we lost a little control. But we kept fighting to stay in the game. At the end, we had options to win, the game was tied 71-71, but it slipped from our hands. We still need a win here and we're going to work hard to be prepared for Friday." "I'm really happy to be back, really happy to feel the love and support of our fans. I worked hard during eight-and-a-half months and finally I am back. So I am happy and I want to say thank you to all the fans that support me and thank you to all the people who work with us at Real Madrid. They helped me a lot to be here now. I missed it a lot. When you are at the end of the bench, with your knee injured, it's hard. It's a long road, but finally I am back, and happy. It was an important win for us, the second one of the series. We know that on Friday we have another war, a different war for sure. But here in front of our fans we have to give our 100% to get that win and go to the Final Four." "It just means we're one step scloser. That's two; we've got to get three. The next game is here in Madrid in a couple of days, and we're one step closer to getting to the Final Four. We have to come out in that game with the same intensity, pay attention to details on offense, and defensively we have to be active and rebound well."